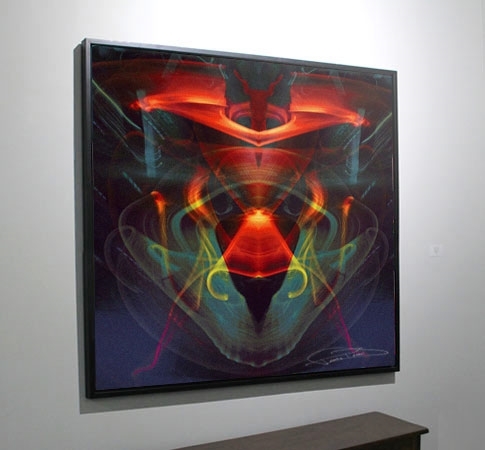 1 Week Only - Own "The Metal Mask" by Frankie Banali for $250.00 (a savings of $100.00). Taking this new medium to new visual heights, Banali crafted a rhythm that once mirrored honors Quiet Riot’s iconic iron mask. Different than any other visuals in the collection, the captured rhythm involved is short in duration with minimal strokes needed and utilized to provide the groundwork for the piece. Measuring 30”x 30” on canvas, there are a total of 50 in the edition of “The Metal Mask”. All are numbered and signed individually by Frankie Banali.